Partners: Altai Ministry of Education, Arkhar NGO, Foundation for Sustainable Development of Altai (FSDA), U.S. Fish & Wildlife Service, WWF-Russia. 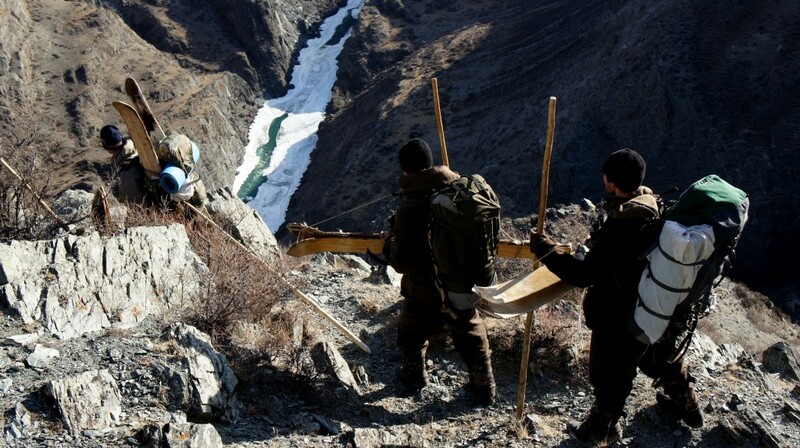 The Snow Leopard Conservancy has been carrying out sign surveys, snare removal and anti-poaching activities in the Argut River Basin of Russia’s Altai Republic since 2010. Illegal snaring is very common in the Altai Republic, targeting musk deer, snow leopards, lynx, wolves, and other larger animals. In remote regions like the Argut River basin, snaring is a main source of income for local families. Surveys confirmed the virtual loss of snow leopards from the Argut River Basin. This was believed to have been the Altai’s largest population of the cats. The loss was largely attributed to poachers setting wire snares. Despite camera-trapping over a six month period, not a single cat was found, although healthy populations of Siberian ibex, major prey for snow leopard, were found. The Conservancy assisted in the deployment of a special anti-poaching team of inspectors from the Altai Republic Game Management Department and local residents who were trained in snare removal techniques. One of the team members is a former notorious poacher in the area, but is now working for the good of snow leopards, rather than against them. The team has reduced the number of snares from 800 to approximately 200. Additionally, they have completely eliminated snares from two valleys that support the last remaining snow leopards in Argut. As of 2013, trail cameras have revealed the presence of six snow leopards in the Argut watershed, as well as the two cubs pictured above which is evidence that the cats are breeding. 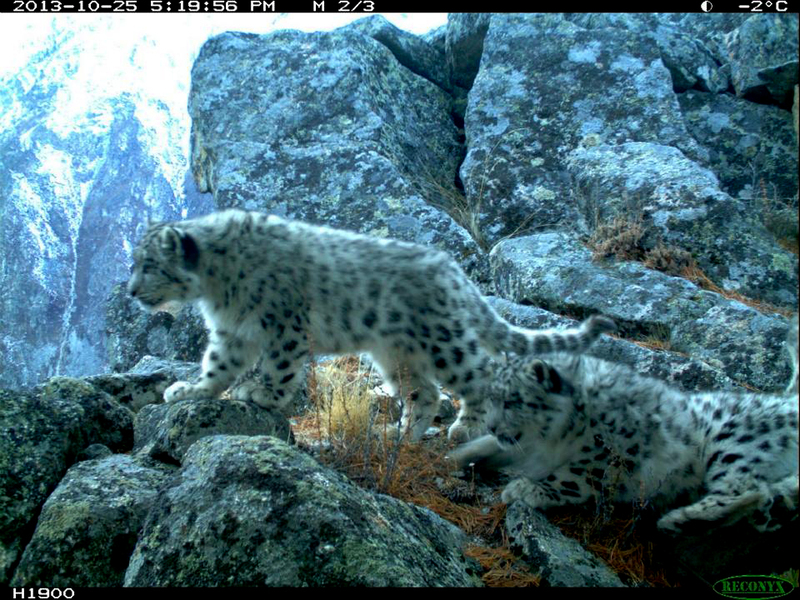 In addition, our partners have detected several snow leopards near Belukha Mountain, along the border with Kazakhstan. Other snow leopards are known to inhabit the border with Mongolia, so there are two populations, albeit small, from which animals could disperse and recover this historically important population. We believe that the local snow leopard population could increase considerably over the next 10 years if snaring is completely eliminated from the area. 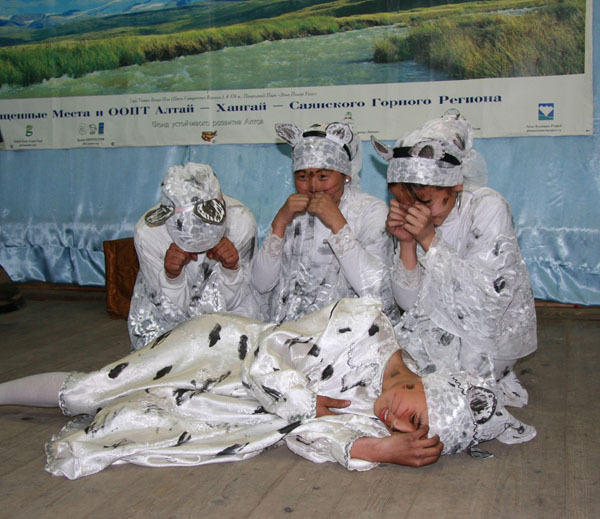 The idea of a Snow Leopard Day Festival in Russia’s Altai Republic grew out of a meeting of the Conservancy and Maya Erlenbaeva in 2008 in San Francisco. Maya, the cultural expert and manager of Ukok Nature Park at the Altai Republic’s southeastern tip, returned home and teamed with teachers at the local school. The festival they created featured art contests, traditional dances, specially produced plays and other activities. It was highly successful. 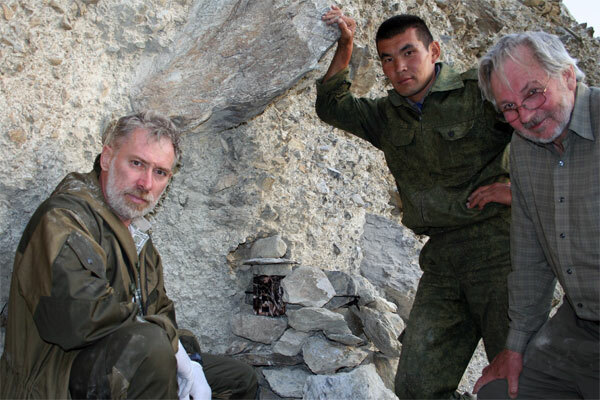 In 2010, staff of the Snow Leopard Conservancy visited the Altai Republic where we formed a partnership with the Foundation for the Sustainable Development of Altai and WWF-Russia to expand Snow Leopard Day and bring conservation education to an even wider group of children and adults. Local festivals are now held in May in two communities, with direct participation by about 160 children. These festivals are followed in September by International Snow Leopard Day festivities in the regional capital, Gorno-Altaisk. These festivals gave us great inspiration and joy and we understood that children are the best people to invest and work for conservation of rare animals and snow leopards! 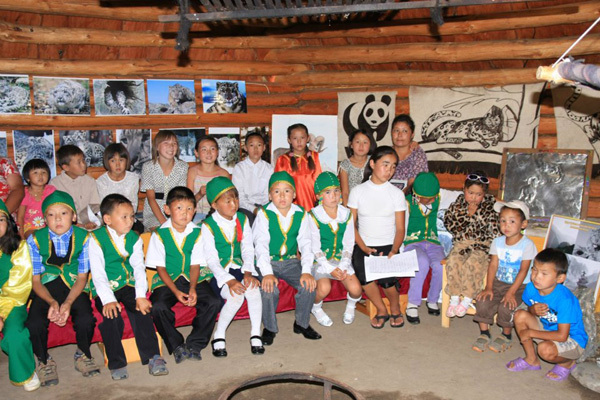 Two museums/cultural centers were formally launched, devoted to education about snow leopards. One was in the Altai gateway village of Inegen, the other in the town of Koch Agach, near the border with Mongolia.